and admire the view of the open sea from the "Le Repaire des Corsaires" restaurant terrace, where you will enjoy a delicious lunch (seafood platters, grilled fish, etc.). A complete change of scenery awaits you there. The captain will find a mooring so you can enjoy a peaceful aperitif while taking in the outstanding views around you. The seaside resort of Dinard has attracted visitors since the 1920s. Located near Plage de l'Écluse, the Casino and the Clair de Lune promenade, the Royal Émeraude provides the perfect setting for romantic escapes. ..
Embark on a journey of the senses with our spa's hammam and hydrojet massage table. Cruise to the island of Cézembre for an unforgettable meal with views of the Emerald Coast. 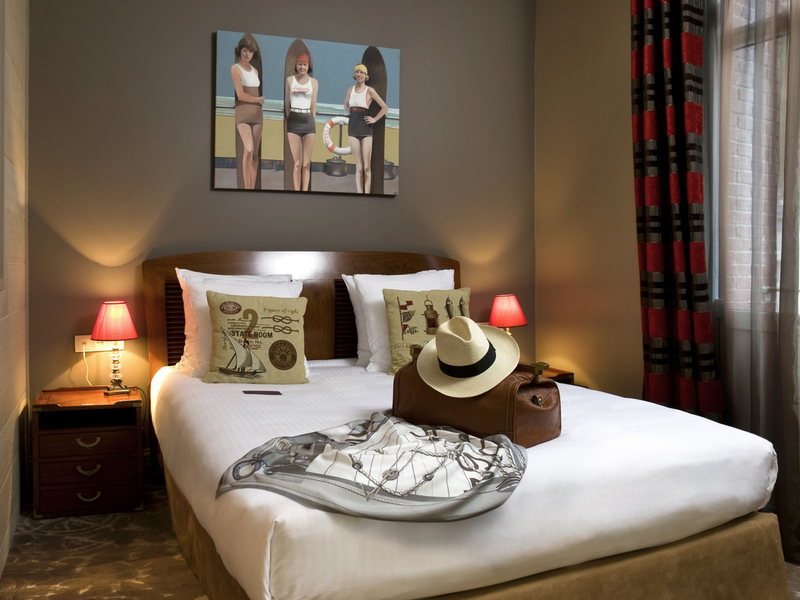 The hotel beckons you to explore - a voyage that spans La Belle Époque and contemporary art. Located in the heart of Brittany's Emerald Coast, Royal Émeraude Dinard MGallery by Sofitel offers you a sublime view of Écluse beach. Admire the charming town and its hillside mansions, the charming legacy of bygone British aristocrats. 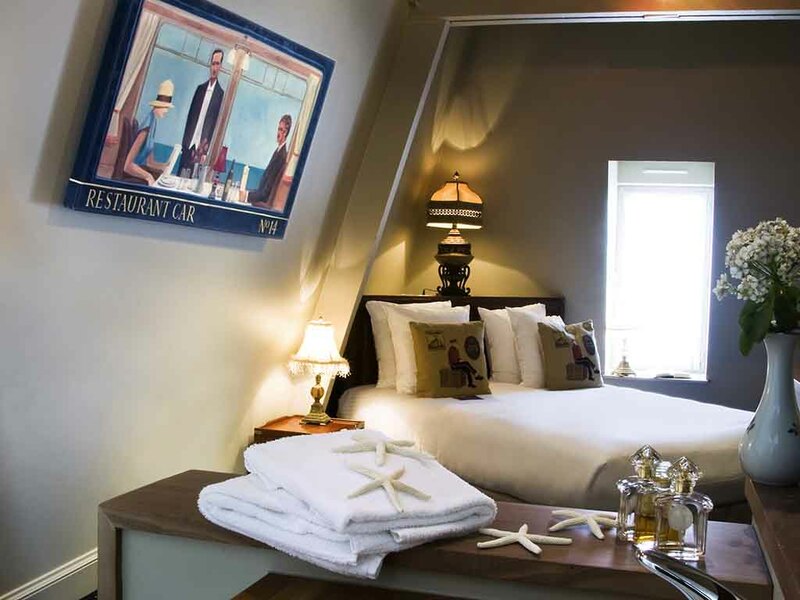 Like a ship facing the sea, the hotel invites you on a voyage. The patina of leather, exotic woods, colors of nature, ordinary objects reimagined as unique decorations... From the conservatory to your room, discover the luxury of this rare boutique hotel. You are surrounded by history and culture. Explore Mont Saint-Michel or the Channel Islands. Don't miss the British Film Festival or the town's art galleries. Play a round of golf or indulge in the seawater spa. Endless memorable moments await you. 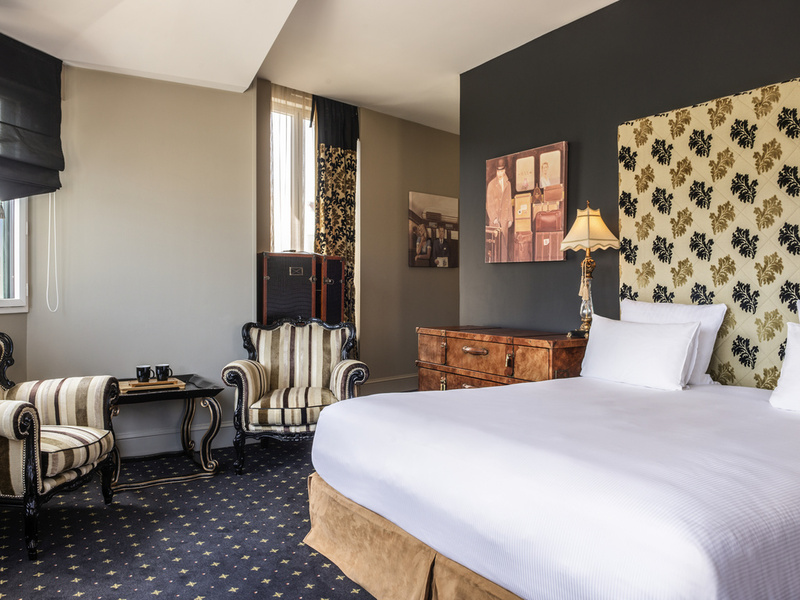 Within this century-old edifice, each room is unique - assuring that your stay at this Dinard destination is equally singular. Dinard boasts one of the most beautiful natural settings in Brittany. Originally a fishing village in the 11th century, Dinard has become one of Europe's most lavish and upscale vacation resorts. By car from St Malo, take the D168 toward Dinard, then exit at (D266) Dinard following signs for centre-ville, Blvd. des Maréchaux, Blvd. Féart and then Blvd. Albert 1er. By car from St Brieuc, exit at Dinan/St Malo/Caen N176, then Dinard/Pleslin-Trigavou/Pleurtuit (D766), and then follow signs for Dinard (D266), centre-ville, Blvd. des Maréchaux, Blvd. Féart and then Blvd. Albert 1er. By train from Paris, take the TGV toward St Malo. The generously proportioned suites at Royal Emerald are real gems, with a seating area and some with a terrace to admire the sea. 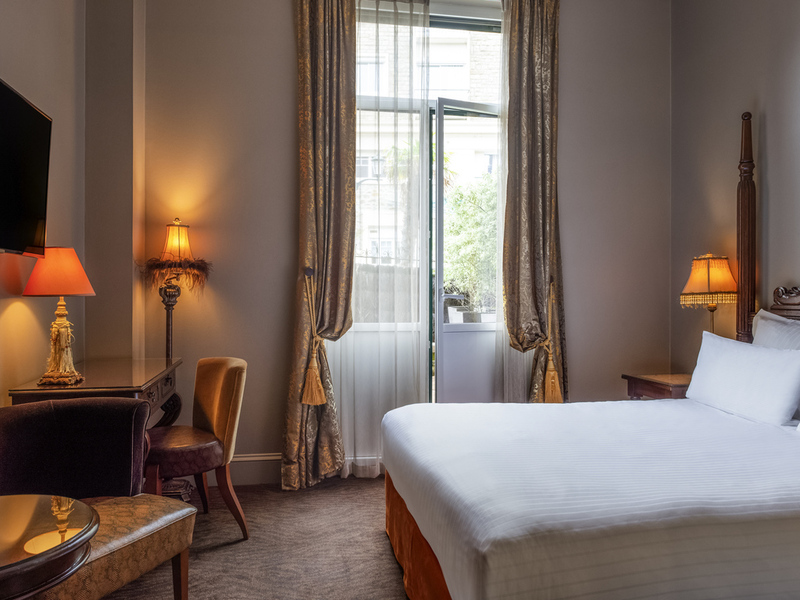 Enjoy our 19m² (204.5ft2) room. Discover our different atmospheres, inviting you to travel and let yourself be enticed by the refined deco. Bathroom with shower or bathtub. Discover our British Indian ocean esthetic in a 215 sq ft room with terrace where you can sit on sunny days and take in the sea air. Bathroom comes with shower or bathtub. Most rooms on ground floor. Enjoy our Deluxe (22m² - 236 sq ft) Ocean Liner, Orient Express or Aviation-themed rooms and let yourself be enticed by its uniqueness. Bathroom with shower or bathtub. Sit comfortably in our Aviation, Orient Express or Ocean Liner-themed suites. These rooms have a seating area or a balcony. It will entice you with comfort and a surface of more than 30m² (322 sq ft). The MGallery hotel collection knows how to tantalize the taste buds of guests in search of a gourmet getaway or gastronomic tourism. Their bars and restaurants offer inventive and traditional cuisine in an atmosphere that stays true to its surroundings. At tea time, enjoy "So British" scones with whipped cream and delicious jam. Travel from Brittany to the Antilles with our menu of signature cocktails. Curl up on a comfortable couch after a splendid day on the golf greens that hug the coastline. After a walk on the sea-front, enjoy the refined ambiance of the Le Darling piano bar and sample the range of drinks on offer: carefully selected cocktails, whiskeys, champagnes and Grands Vins Mercure.